Re-issue av den gamle CMOS HOT TUBES fra 1970 med eksakt samme kretsdesign og dessuten i miniatyr! Den dekker alt mellom kosevreng og full monster-gain. Med tonekontrollen kan du skulpturere lyden, eller du kan slå tonekretsen helt av med Tone On/Off-bryteren. 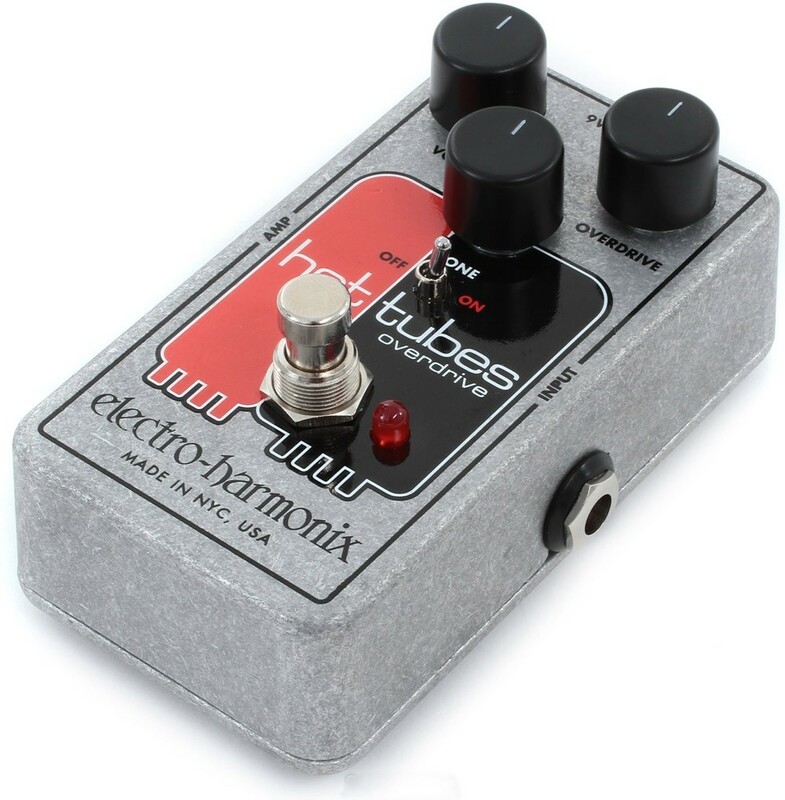 Based on a classic, the Electro-Harmonix Hot Tubes Nano overdrive pedal gives your guitar tone an edge. 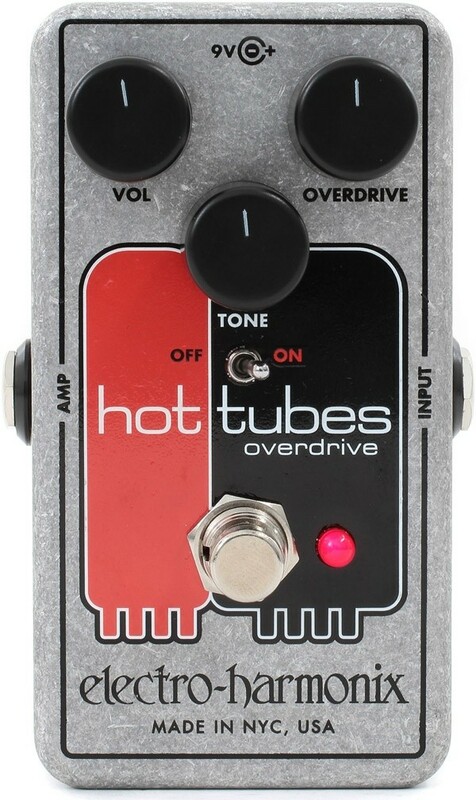 It's designed just like the original CMOS Hot Tubes pedal from the 1970's, and it's incredibly responsive to your playing dynamics. As you dig into your playing harder, the Hot Tubes Nano responds with aggression. 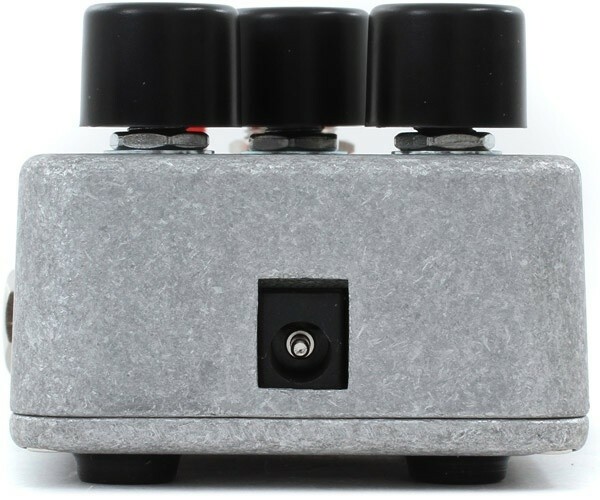 Back off your volume control and it cleans up nicely, just like you'd expect from a tube amplifier. And if you're touchy about your tone (aren't we all? 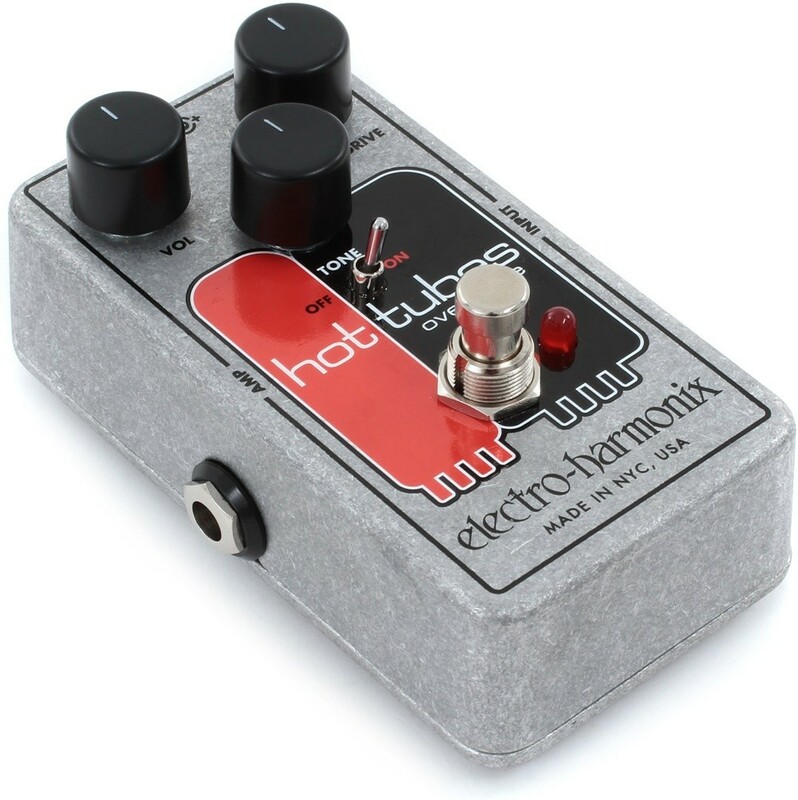 ), there's even a tone circuit bypass switch that completely removes the tone circuit from your signal path. 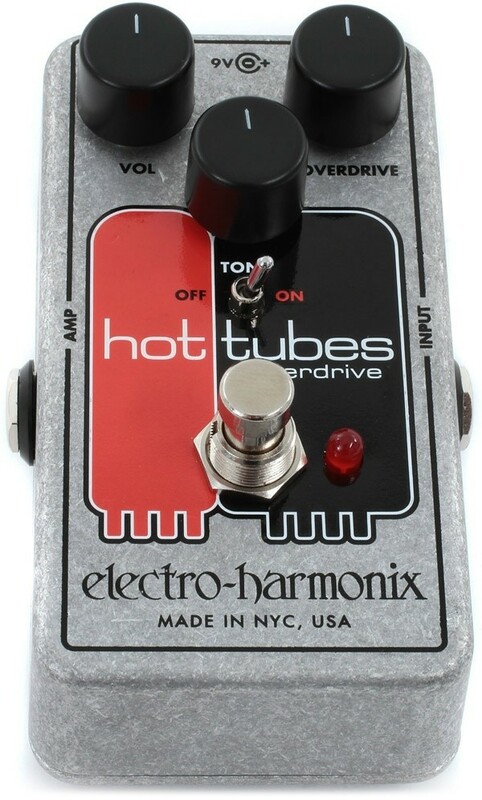 All this in a rugged die-cast chassis makes the Electro-Harmonix Hot Tubes Nano a sweet overdrive solution.